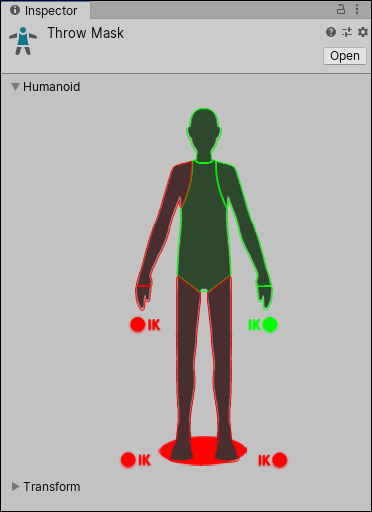 You can also toggle Inverse Kinematics (IK) for hands and feet, which determines whether or not to include IK curves in animation blending. Click the Import Skeleton button. 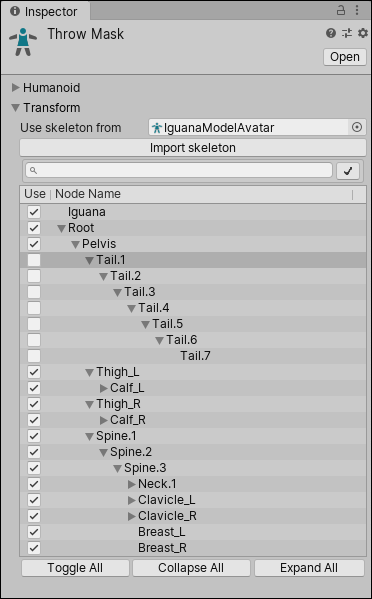 The hierarchy of the avatar appears in the inspector.